If you’re attending The Lakes Comic Art Festival this weekend, you might come across one of these leaflets. 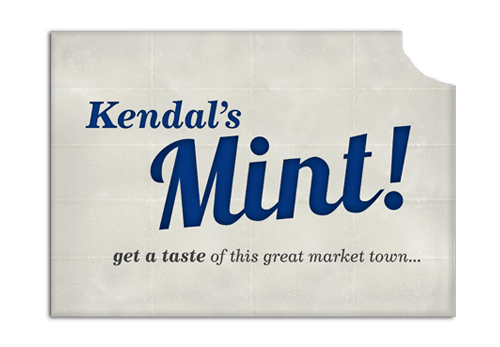 To give visitors a taste of Kendal we’ve created a slab of Mint cake and unusual facts about the town. Shakespeare, Henry VIII, cobbled yards, England’s highest climbing wall and the town’s festivals are all featured on the leaflet. The project was commissioned by Kendal BID to promote the town to a wider audience and specifically the international visitors and media who attend The Lakes Comic Art Festival.